You will always plant with confidence. The precision seeders and food plot seeders give you the flexibility to handle primary seeding, over-seeding, and special applications such as planting native grasses and establishing food plots. These seeders offer three seed box options to fit the widest possible selection of seed types. Cool season grasses, warm season, legumes, oats, wheat, barley rye, prairies grasses, wild flowers, radishes, soybeans — these seeders can handle it all. 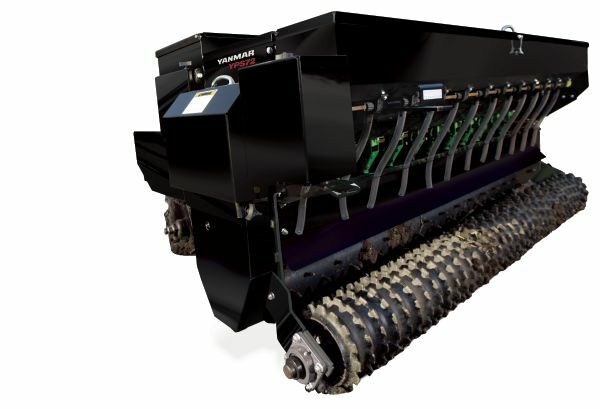 Gain efficient, one-pass planting of up to three seed types simultaneously. On models equipped with three seed boxes, plant two different grass seeds at grass seed depth while planting a legume seed at its ideal planting depth. All seed boxes can be engaged/disengaged independently with a single lynch pin – no tools required. Along with seed box combinations, accessories include front spiked rollers, disc blades and cast iron cultipackers.